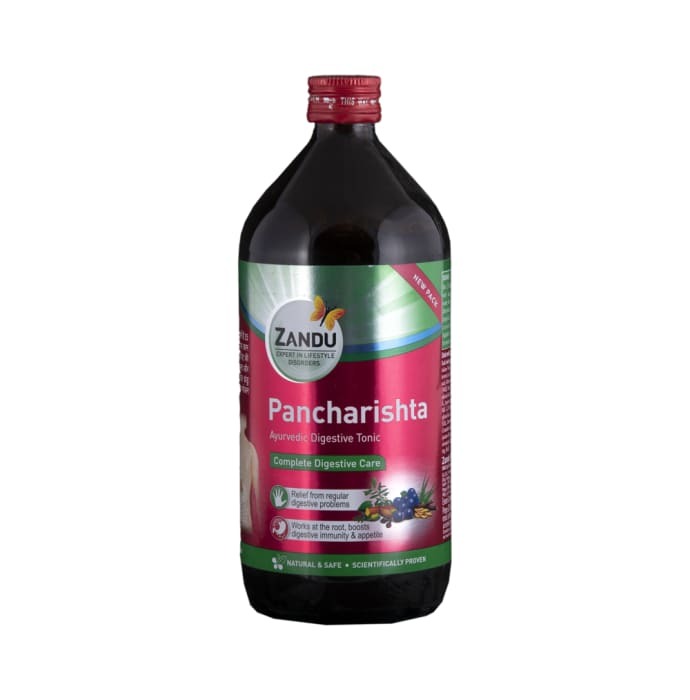 Zandu Pancharishta Syrup improves the digestive system s functions and body s overall appetite. It contains draksha or raisins to improve body s ability to form bowel movements in a proper manner. Dashmool is also added to reduce stress levels in the body. Zandu Pancharishta Syrup is designed to strengthen the digestive system by reducing the stress on this part of the body. A person must consume two tablespoons used with water. For best results, it should be consumed twice daily after meals. The digestive syrup can be consumed for as long as needed to improve body s overall digestive processes.